I’m really, really good at worrying. I didn’t worry about much for most of my life. I always just kinda thought, “hey, things will work out …they always do.” Then I started worrying about stuff (“stuff” I shouldn’t worry about) half way through 2013 and in 2014, I took my worrying to the next level, man! Worrying so much it effected my sleep and eating and day to day performance. My 2015 resolution will be to change “worrying” into “warrioring” (not a word, I know). I talk a big game, but my “game” could actually benefit from better game-planning and definitely execution. And when I say “warrioring” (that word I invented), I truly mean fighting a battle. A battle against my fear. A battle against my lack of confidence in certain situations. A battle against my procrastinating. A battle against my feelings of unworthiness. Over this last week I’ve been watching American Ninja Warrior. For the most part, this is a boring show. If you’re not familiar with it, it’s a buncha really physically fit dudes running through an impossibly difficult obstacle course. Over and over and over, contestant after contestant after contestant, but they’re always competing to head to Vegas, and from there they might head to Japan to compete and as far as I can tell, no American has ever completed Japan’s Ninja obstacle course. Trust me …it’s fun to watch for about a 1/2-hour, but after that, it’s pretty much the same thing on repeat. Don’t ask why I ended up watching it for 4 days straight and logged about 20 hours of viewing. But I did manage to get something out of this show. The human body is capable of some pretty amazing things. And I was blessed with a fairly healthy body …which is truly a gift …and I don’t really take care of this body. Or my mind. And sometimes my soul. 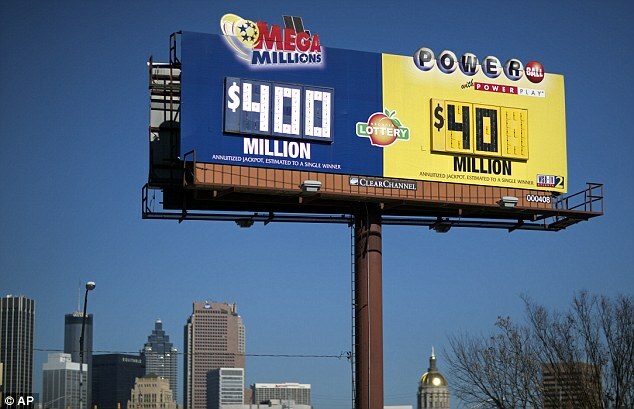 While driving home after a nice long weekend, my kids and my wife and I saw the Power Ball and Mega Millions highway billboards indicating the jackpots were at $170-million and $100-million and we all started telling what we’d do and buy if we had all that money. It’s OK. She’s a kid and it’s my job to explain we don’t “pray” to God for a lottery jackpot. We pray for help and guidance and enlightenment. We pray (or meditate, or reflect, or philosophize …if theism isn’t your thing, it’s OK) that we can know ourselves and realize we have what we need to get what we need, and sometimes what we want. And we should realize true enlightenment and “getting what we want” should come with the benefit of helping other people and/or making the world a better place. Like, if I won $170-million, I told my kids I could quit my job, but only to take another job working for a charity or volunteer organization and I’d be able to work 8, 10, or 12 hour days changing the world. I’m not sure they understood what I was saying, exactly. After the “what I’d do if I won the lottery” conversation, I went back to driving and everyone went back to their books and electronic devices and I started thinking …wait. I’ve already won the lottery. And I win it again every day when I wake up and my lungs fill with air (not always the case for me) and I get to hug and kiss my kids and wife. I have a roof over my head. I eat food every day and drink clean water (Seth Godin had a really good blog sorta related to this). I have access to medication and doctors and that’s because I had two great parents that worked hard so I would have access to everything I needed and who explained and showed me the importance of an education and hard work and how to have a healthy, happy marriage and relationships and friendships. What does this have to do with American Ninja Warrior? Well, American Ninja Warrior shows what the human body can do when it’s pushed to it’s limits. My body sometimes only succeeds in showing what a stomach is capable of when pushed to its limits (meaning I eat alot, too much, and to extremes). We can talk about what we’d do “if we won the lottery” or “if I was 10 years younger” or “if I was taller” or “if I didn’t have kids and a mortgage” but the truth is, we can daydream about what we would and could do if this was this and that was that, but if we’re not already doing everything we can with what we’ve been given, we’re lying to ourselves about how great life would be with $170-million in the bank. I want to spend the next 6 months training as if I’ll be auditioning for American Ninja Warrior. I want to spend the next 6 months writing as if I’ll be on American Author Warrior and working at my job like there’s a show called America’s Best Sales Warrior … and I’m going to win. I may never get the chance to count $170-million in my bank account, but I need to take the time and count my blessings daily …because that’s the jackpot I’ve already won. In 2015 I’m going to commit to “worrying” less and turning that negative energy into more positive energy. And I’m going to make a t-shirt that says, “What? Me warriory?” Who’s with me and would you buy that shirt?